Tower Hamlets Labour council has called on the police to intervene against a planned demonstration outside the town hall on 21 November, which is being mobilised for by the Revolutionary Communist Group, the Palestine Solidarity Campaign and Tower Hamlets Jenin Friendship Association in support of Palestine and against the council’s recent adoption of the full IHRA definition of anti-Semitism, which restricts criticism of Israel on the grounds of anti-Semitism. The RCG received an email on 14 November from PC Eleanor Carmichael at Bethnal Green Police Station, stating that the town hall is on private land and if we turned up unannounced we would be asked to leave immediately. She said if we requested permission, we would be allowed a limited time to demonstrate. Carmichael also asked for the numbers expected and the duration of the demonstration. We are under no obligation to provide such information and will not do so. Neither of the other groups mobilising for the protest - the Palestine Solidarity Campaign and the Tower Hamlets Jenin Friendship Association received a similar email. It seems that the council has singled out the RCG and directed the police specifically against our involvement in the demonstration. 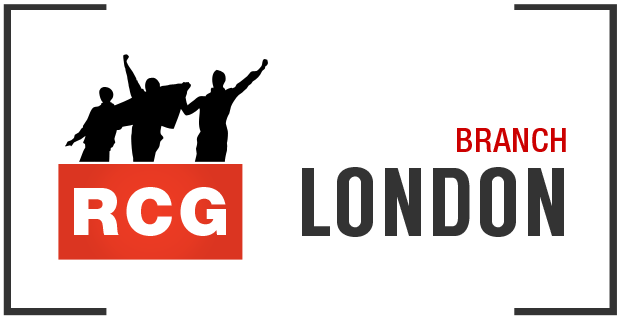 This action follows other attempts by Labour councils in London to attempt to limit and intimidate the RCG in relation to its work in solidarity with Palestine, including Camden council’s Prevent team sending along council officers to spy on an RCG meeting. Our anti-racist, anti-imperialist and anti-Zionist position is clear and well known. The position being taken by such councils is explicitly pro-Zionist, aimed at shutting down any criticism of the racist Israeli state and denying those working in solidarity with Palestine the right to mobilise freely. This is the logical consequence of the adoption of the IHRA definition and examples of anti-Semitism. On 19 September Tower Hamlets Council adopted the definition unanimously. Other Labour councils in East London which have adopted the IHRA definition include Redbridge (18 January 2018); Hackney (21 February 2018); Newham (18 September 2017) Barking and Dagenham (25 October 2018). Waltham Forest council will discuss adopting the definition at their next meeting on 13 December. Havering council (no overall control) is still due to declare whether it has adopted the definition or is planning to do so in the future. The RCG stands by our position that Zionism is racism, and that the establishment of the state of Israel was by its very nature a racist endeavour. We will continue to mobilise for the demonstration outside Tower Hamlets Town Hall on 21 November. We condemn the collaboration of the Tower Hamlets Labour council with the police in order to silence the anti-imperialist, communist supporters of Palestine. We ask for the solidarity of our readers and supporters and ask them to come out in support of the protest. Wednesday 21 November, 17:45: Picket Tower Hamlets council! Town Hall, E14 2BG. Free Palestine! End the siege on Gaza! Israel is a racist endeavour! Glasgow Stand up to Racism march: the Zionists could not pass!